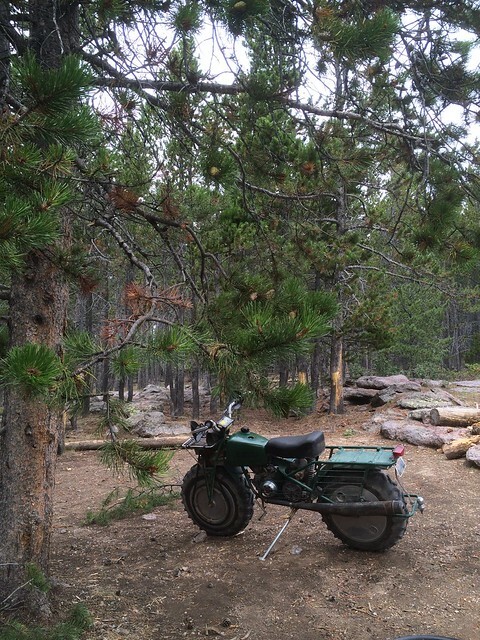 Summer camping weekend – Wandering Wyoming…and sometimes, other places. It seems to me that the Rokon is a motorcycle conceived, designed, and built by Wile E. Coyote, Super Genius. It sure as sugar wouldn’t catch the roadrunner. It was a long ride, but really fun. 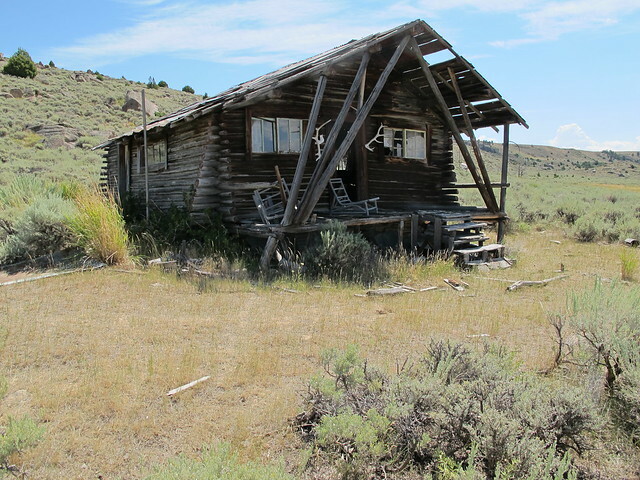 I’d found the cabin many years ago while driving the two track in my pickup, and regretted not stopping ever since. I’m glad I took the time to finally go back. I’m hoping to return this weekend to check out an old sawmill near it. If I do, I’ll keep y’all posted.